Instagram Video: What’s it all about? Posted on 31st August 2016 at 16:23. 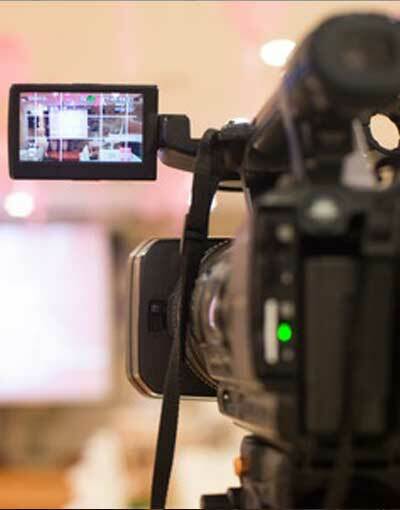 Video marketing is becoming an increasingly popular way for businesses to communicate their brand values via a multi-sensory medium. So how can Instagram’s latest offering help you to engage more customers and increase your revenue? How and why can Instagram video benefit your business? The benefits of video marketing are well-known – yet until recently, the only way to effectively share videos online was to post them to Youtube. Whilst Google-owned Youtube is still a viable (and essential) marketing tool, increasingly impatient society (and ever-fickle) audiences began to crave harder, faster video delivery. First video sharing was enabled on Facebook and Twitter – before game-changers like Vine and Snapchat came along. With Snapchat came a need for swifter, more shareable video filmed and experienced almost in real time. Instagram introduced its video facility earlier this year – to much praise from its many disciples. As Instagram is a leading social network for businesses who want their customers to clearly visualise their values and benefits, it follows that this could be an incredibly powerful marketing medium. With so many videos saturating the internet (and marketing efforts easily sniffed out by consumers and commercial clients alike) you’ll need to share something different. Think outside the box – promoting competitions, how-tos, testimonials and demonstrations of your product or service. It doesn’t have to be (and shouldn’t be) the ‘same old’ – you could shoot a candid video featuring just one person, a time-lapse or produce a short, animated film. Keep in mind that Instagram videos must be between 3 and 60 seconds – so you won’t be able to present an epic rundown of everything your product or service has to offer. Keep it short, sweet, snappy and shocking – thought-provoking enough to catch someone’s eye as they scroll through a timeline filled with visual media. How should I share it? Your video could be excellent – but if nobody sees it, it’s unlikely to harness any selling power for your brand. With this in mind learning how to share your sharable media is key. Firstly, make sure you learn about hash-tags and how to use them. On Instagram hash-tags hold plenty of authority, so you’ll want to use them to your advantage. Secondly ensure that you are sharing the video across other mediums too – including Twitter, Tumblr and Youtube. You might want to repost the video several times at different intervals to ensure that as many people see it as possible. This increases exposure and makes it more likely you’ll see the results you require for your brand. For more expert social media and online marketing tips, please head over to our Services pages or take a look through our related posts here. Are you making any of these SEO faux pas?Will Google’s RankBrain change SEO for the better?